Demonstrators protest against Senate Bill 4 outside the Capitol in April. A three-judge panel for the 5th U.S. Circuit Court of Appeals ruled Monday that a provision in Senate Bill 4 requiring jurisdictions to comply with federal requests to hold jail inmates past their release dates if they're suspected of being in the country illegally can stand for now. "Our policy has been updated to comply with the findings of the Fifth Circuit Court of Appeals," Sheriff Sally Hernandez said in an emailed statement. Under the previous policy, the sheriff's office honored requests only if a person was charged with murder, aggravated sexual assault or human trafficking. Some detainer requests were considered on a case-by-case basis, for example, if the inmate was suspected of committing a crime against an elderly person. Texas Attorney General Ken Paxton applauded the court's decision. Paxton's office said it would immediately begin penalizing local officials who don't honor all Immigration and Customs Enforcement detainer requests. Under SB 4, failure to comply with ICE detainer requests is a Class A Misdemeanor which carries a maximum penalty of a $4,000 fine and a year in jail. Lawyers for immigrants' rights groups said, however, that the ruling does not mandate that all detainer requests be honored. "Local jurisdictions remain free to decline requests they believe could violate constitutional rights or other laws," said the nonprofit Mexican American Legal Defense and Education Fund, a plaintiff in the lawsuit. Travis County Judge Sarah Eckhardt said the ruling left law enforcement officials confused about "what it means to 'comply with, honor and fulfill' immigration detainer requests." 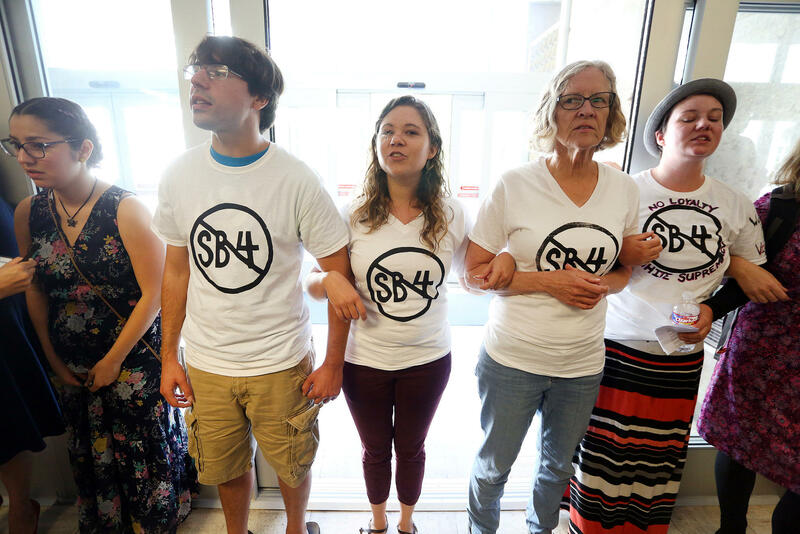 Texas had appealed a lower court ruling last month that blocked much of SB 4 from going into effect Sept. 1. Austin was one of a handful of major Texas cities that sued to stop SB 4, calling it discriminatory and unconstitutional. The plaintiffs say the law could lead to racial profiling and make cities less safe because immigrants would be afraid to report crimes. 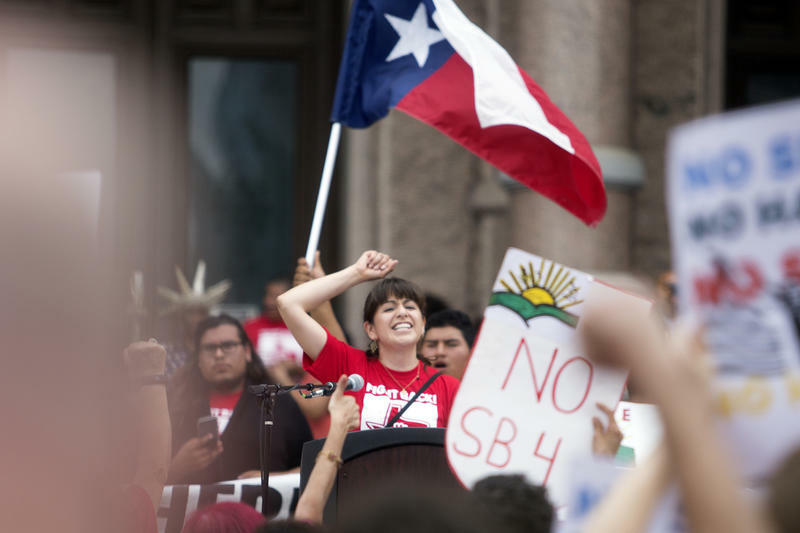 Austin City Council Member Greg Casar said a "loss" in the fight against SB 4 was unacceptable. "The Fifth Circuit’s ruling today allows for dangerous portions of SB 4 to go into effect," he said in a statement, "but it also allows local governments, like Austin, to take reasonable steps to ensure that our policing resources are not misdirected from our public safety needs and toward Trump’s deportation machine." 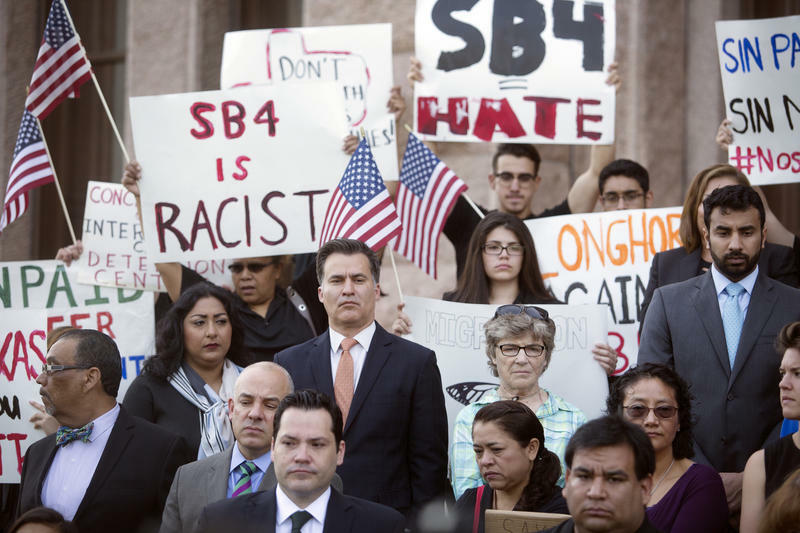 Casar said he would ask City Council to pass a policy "protecting the civil rights of all people – especially immigrants – under the state's dangerous new policing regime." A court hearing is scheduled for Nov. 6. This is a developing news story. It will be updated as more information becomes available. A federal court in San Antonio has blocked much of Senate Bill 4, Texas' so-called "sanctuary cities" law. "The best interests of the public will be served by preserving the status quo and enjoining, prior to September 1, the implementation and enforcement of those portions of SB 4 that, on their face, are preempted by federal law and violate the United States Constitution," U.S. District Judge Orlando Garcia said. The City of Austin has filed a legal challenge to the state's new "sanctuary city" law, joining a suit filed Thursday by the City of San Antonio. These are some of the crimes for which the Travis County Sheriff’s Office did not honor requests from Immigration and Customs Enforcement to detain suspected undocumented immigrants past their sentences or dispositions. 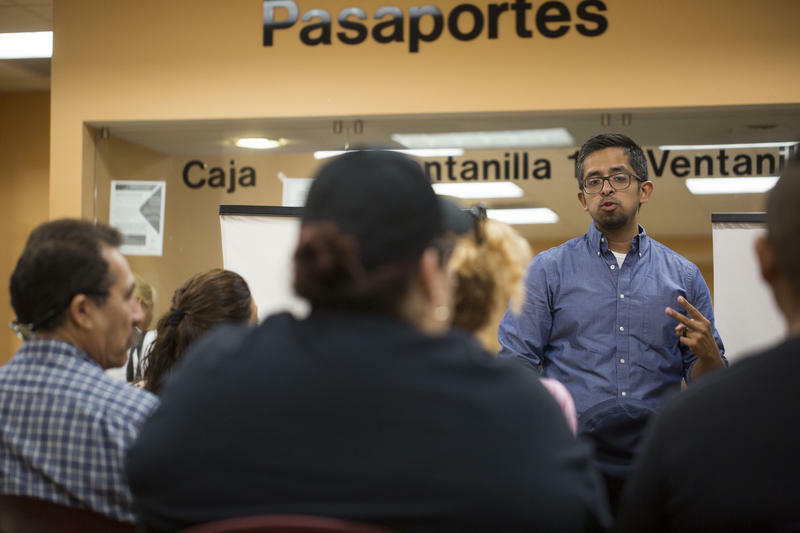 Candelario Vazquez, 34, stands in front of a group of 20 people. None of the adults and children, some of them squirming in their hard plastic chairs, have asked to be in the audience. 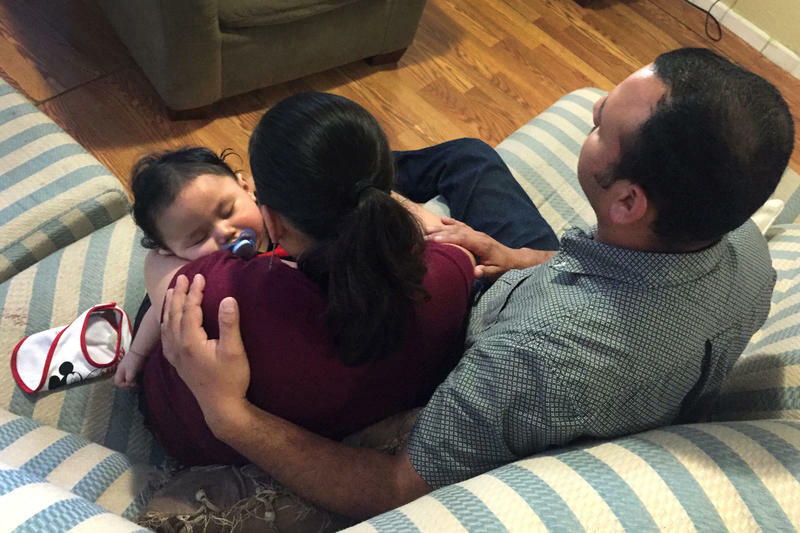 When 2-month-old Isaac Enrique Sanchez was diagnosed with pyloric stenosis, a condition that causes vomiting, dehydration and weight loss in infants, his parents were told that their son's condition was curable. The problem was that no hospital in the Rio Grande Valley of Texas had a pediatric surgery team capable of performing the operation on his stomach.